Westport, NY — A mix of popular alumni and some new faces will take the Depot Theatre stage for The 39 Steps, the second main stage production of the theatre’s milestone 40th anniversary season. Depot alums Jonathan Hadley and Missy Dowse will be joined by Lori Funk and Katrina Michaels, both new to the Depot family. The production will be directed by another Depot alumni, Amy Griffin, who has both directed and acted at the theatre in previous seasons. 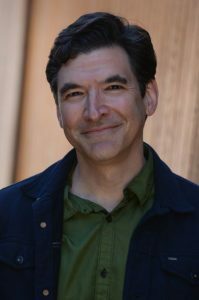 Depot audiences will remember Jonathan Hadley from his onstage Depot appearances in Born Yesterday, Pete ‘N Keely, and Savin’ Up for Saturday Night, and for his offstage work as the Interim Producing Director for the 2014 and 2015 seasons. Hadley was seen on Broadway and in the First National Tour of Jersey Boys, as “Bob Crewe”, a role he eventually performed over 2000 times. Off-Broadway credits include Shaw’s Widowers Houses, Finian’s Rainbow and Peg O’ My Heart. Other tours include The Bodyguard, Into The Woods, Joseph..., Fiddler on the Roof (with Theo Bikel) and Forbidden Broadway. Jonathan holds a BFA in Acting from the University of the North Carolina School of the Arts and an MFA in Directing from Brooklyn College. Hadley will be playing the role of Richard Hannay at the Depot in The 39 Steps this season. “I’m thrilled to be back at the Depot to help celebrate 40 years of theatre in the Adirondacks!” he said. Missy Dowse is thrilled to return to the Depot for the second time after playing “Blue Girl” in SHOUT! The Mod Musical in 2016. She will be playing the role of Pamela/Annabella/Margaret in the Depot’s production of The 39 Steps. Her credits include, National Tour: Gypsy (Louise). NYC: The Battles (Machiavelli). Regional: East Coast premiere of Summer of Love (Holly) at Ogunquit Playhouse, Young Frankenstein (Inga) and The Producers (Ulla) at Fulton Theatre, Gypsy (Louise), Young Frankenstein (Inga) and Mary Poppins at MSMT, The All Night Strut at Portland Stage, Kiss Me Kate (Lois/Bianca), Thoroughly Modern Millie (Millie), Nice Work If You Can Get It (Billie), Agnes of God (Agnes) with Talia Shire and Susan Sullivan. TV: SMASH. 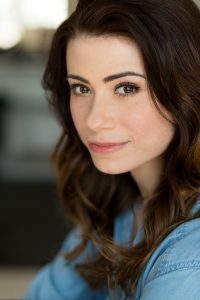 Katrina Michaels refers to the show as “a delightful romp” and her role as one of the Clowns as a fulfilling challenge. 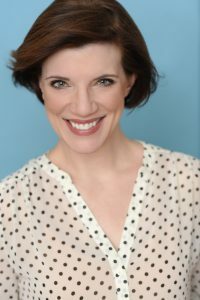 Katrina’s recent credits include Molly Aster in Peter and the Starcatcher at Orlando Shakespeare, Ruth in Tribes and Logainne in Spelling Bee at Florida Repertory, Viola in Twelfth Night, Sally Bowles in Cabaret, Pinkie in the World Premiere of Noel Coward’s Hoi Polloi at Theatre Row, Hermia/Snout in A Midsummer Night’s Dream, Lucy in Dracula, and Daisy in Rhinoceros. In her first show at the Depot, Lori Funk joins Michaels as the other Clown in this production of The 39 Steps. 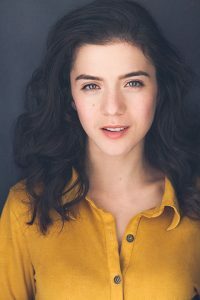 Her Off Broadway credits include Three on a Couch at SoHo Playhouse, Looking for the Pony at McGinn Cazale, Thirst at HERE, and, most recently, Stiff at The Barrow Group Theatre. TV: “Law & Order,” “SVU,” “Onion News,” “What Would You Do?” Film: FourEyes, Dirty Moonie, Acting Her Age, The Price. Web Series: Human Telegraphs. Her one-woman show, TWO TRUTHS AND A LIE, was last seen at Don’t Tell Mama in NYC. Griffin’s directing credits include: I Love You, You’re Perfect, Now Change (WPPAC); Blue’s Clues Live (Nickelodeon); Annie at the Engeman Theatre (as Associate Director); and both SHOUT! The Mod Musical and The Taffetas at the Depot. As an actor, she has appeared on Broadway in How The Grinch Stole Christmas (original cast, cast recording); on the First National Tours of Seussical (starring Cathy Rigby) and Grinch; Off Broadway in The English Bride, Once Upon A Mattress (starring Jackie Hoffman) and Forbidden Broadway; and regionally as Loretta in Fly Me To The Moon (Public Theater) Alison in Fun Home (New England Regional Premiere); Sally in Talley’s Folly (Bickford/Oldcastle), the Beggar Woman in Sweeney Todd, and as Rosemary in Outside Mullingar here at the Depot. For its 40th Anniversary, the Depot Theatre brought back favorite shows from the past, and The 39 Steps was previously performed at the Depot Theatre in 2010. The 39 Steps was adapted by Patrick Barlow from the novel by John Buchan and from the movie by Alfred Hitchcock. Packed with nonstop laughs, over 150 zany characters (played by a cast of four), an onstage plane crash, handcuffs, missing fingers and some good old-fashioned romance, The 39 Steps is on track to be a favorite at the Depot yet again! The production is sponsored by Champlain National Bank. The 39 Steps performances run July 21 – August 5, with a $20 Preview on July 20. For more information and tickets, call 518.962.4449 or visit depottheatre.org.